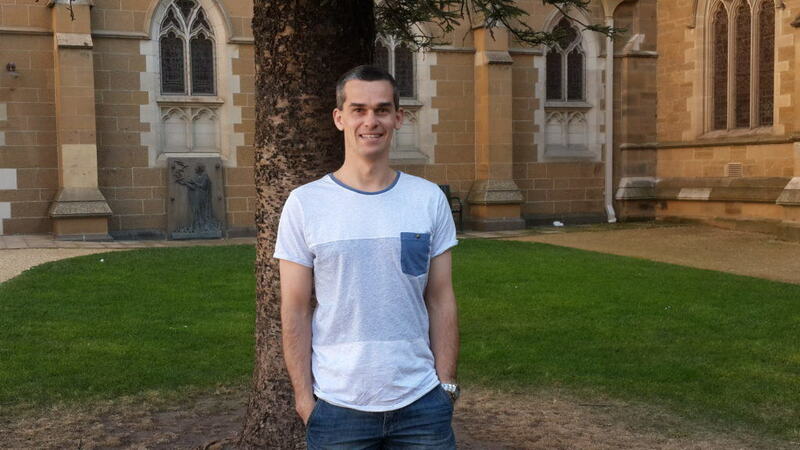 In partnership with the Diocese of Tasmania, James Veltmeyer will be joining Wellspring in January 2017 as our new Youth Pastor (half-time), as well as transitioning to a new oversight role as Youth Ministry Development Officer (Southern region) for the wider Diocese (half-time). Since 2014, James has served full-time as the Diocesan Children’s & Youth Ministry Director. With the skills and experience this has afforded him, James is looking forward to serving Wellspring with faithful and strategic youth ministry leadership. He will indeed be building upon an existing foundation in ministry with youth and children, which has been a passionate commitment of our church over many years. Read below for a bit more information from James himself. James grew up in a Christian home, so there was never a time he can remember that he didn’t trust in Jesus’ death and resurrection. From 2009-2013 he was the Youth Minister at St Mark’s Bellerive. Since 2014 he has been the Director of Children’s and Youth ministry for the Anglican Church of Tasmania. He is married to Anita, and they have 3 young children. He is passionate about making disciples of children, youth and families, coaching his son’s soccer team, playing 6 a side soccer, coffee with mates and holidays on Bruny Island with the family.